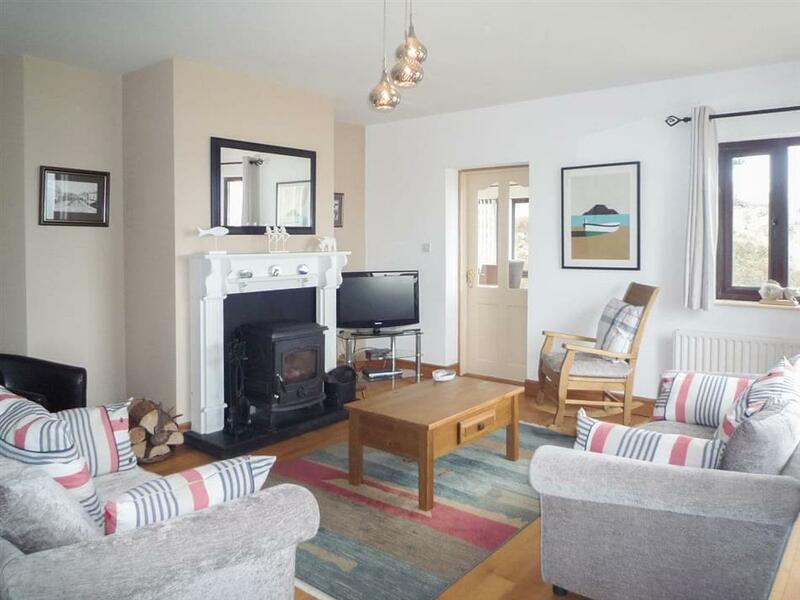 Bayview in Pullathomas, near Belmullet, County Mayo sleeps 9 people. Bayview in County Mayo has spectacular views of Broadhaven Bay and is on the beautiful Wild Atlantic Way. 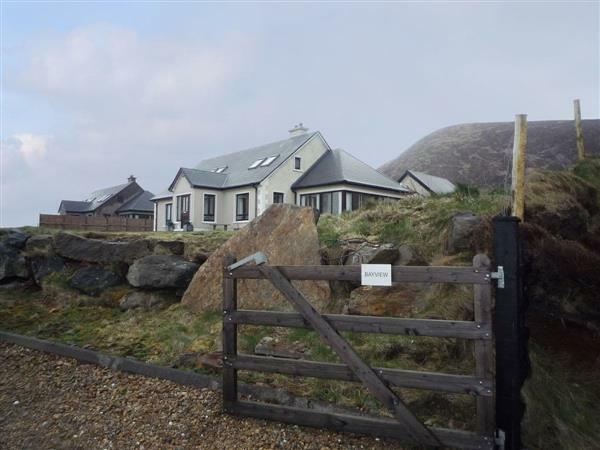 A stay here will remind you how truly wonderful nature is, with the ever changing Atlantic Ocean to the front of this detached cottage, surrounded by beaches and unspoilt countryside and hills all around. This part of County Mayo is removed from the hustle and bustle of busy living and is ultra-relaxing. The cottage itself is spacious and very comfortable, with sea and mountain views from the bedrooms, and sea views from the very well-equipped kitchen, dining room and living room. For active guests, this area is a haven for walkers, cyclists, fishermen, golfers and those who enjoy water sports. There is a supermarket just an 8-minute drive away and the local pub is a 5-minute drive. Belmullet, 15 minutes’ drive away, has a leisure centre, three supermarkets and various pubs and restaurants, or visit Achill Island (accessed via road), which is a lovely place to pass the day. You can walk or cycle there from Newport or Mulranney via the Greenway walking/cycle path, and bikes are available to hire. The Ballycroy National Park also has walking routes. The archaeological site of the Céide Fields can be found in nearby Ballycastle. You will find the beach 1 mile from Bayview in County Mayo. With the shop 1 mile, the pub is ½ mile and the restaurant is 11 miles from Bayview. Approximate distance to Knock airport is 100 km. Living room: With multi-fuel burner, Freeview TV, DVD player and wooden floor. Kitchen: With electric oven, electric hob, microwave, fridge/freezer, dishwasher, washer/dryer and tiled floor. Bedroom 4: With 3 single beds (one for child) and wooden floor. Oil central heating, electricity, bed linen and towels included. Initial fuel for multi-fuel burner included. Travel cot. Large, enclosed lawned garden with sitting-out area, garden furniture and barbecue. 2 dogs welcome, to be kept on a lead at all times (sheep country). Bike store. Private parking for 4 cars. No smoking. Please note: There is an unfenced, shallow open drain in the garden. Holidays at Bayview run from Saturday to Saturday. For a better idea of where Bayview is, you can see Bayview on the map below. Do you want to holiday near Bayview (W32376), you can see other cottages within 25 miles of Bayview; have a look to find your perfect holiday location.